The demand for healthcare software is expected to continue its rise over the next four years, especially for software as a service (SaaS). 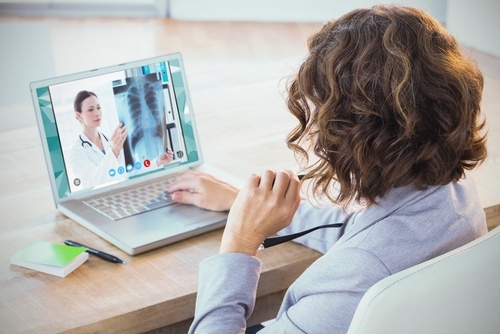 But just because healthcare organizations may be increasingly turning to healthcare software doesn’t mean they’ll automatically turn to you. You need to show them why you stand out from the crowd, gain their trust and establish a rapport that eventually helps transform them from strangers into loyal customers. B2B inbound marketing can help. Inbound marketing works on the basis of attraction, drawing people to your website so you can build relationships and earn their business. Content plays a starring role in your overall healthcare inbound marketing plan, and these five content suggestions can get you started. Videos continue to soar in popularity, particularly due to the increase in mobile device usage. More than 50 percent of people now prefer using mobile devices over desktop, and videos deliver content in a way that’s easier to digest on mobile than the written word. Both videos and webinars are ideal B2B inbound marketing choices for content that explains how your software works, teaches people how to use it, or otherwise showcases its functionalities in a way that’s easy to understand for your target audience. Research related to your software and the healthcare industry may uncover loads of statistics and other hard facts that can help you make your point. But your point can quickly become blunted, or even ignored altogether, if you present those facts in a dry and tedious manner. Spruce up statistics and hard facts by putting them into an infographic. Infographics are ideal for showcasing facts with eye-catching and appealing graphics, images and other visuals. Topics can range from everything from the growth of healthcare SaaS to specific numbers on how significantly your software can improve a healthcare organization’s efficiency and bottom line. E-books, whitepapers and case studies can serve multiple purposes as part of your healthcare inbound marketing plan. Because they’re longer than your average blog post, you have room to include detailed information on specific topics relevant to different personas. They can also be set up as downloads, with visitors exchanging their name and email address for a download of the content. You’ve suddenly increased your mailing list and captured leads you can then nurture with additional content down the path toward a sale. Create a variety of e-books, whitepapers and case studies to feature on your website’s resource page, organized by topic so each persona knows exactly where to go for information that can benefit them. Blog posts are one of the most important forms of content you can provide. Having a blog stocked with fresh, consistently updated content acts as an ongoing magnet to attract new and returning visitors to your website. Add visual appeal to your blog post by using at least one image, bold headings and short paragraphs. Make sure your blog includes a search and filtering feature so readers can narrow down topics relevant to their business. Review the problems your healthcare software solves for your audience, then choose topics aligned with the challenges your target audience faces in those areas. News jacking is another way to generate blog topics that can grab attention. Keep an eye on breaking news, current trends and other headline-making subjects pertinent to your company. Then write up blogs with your expert opinion on the topic at hand. Producing valuable content is essential for a successful B2B inbound marketing plan, and so is tracking your content performance. Healthcare inbound marketing gives you a host of metrics you can use to see what’s working, adjust what’s not and set tangible goals for moving forward. To ensure your variety of content fulfills your inbound marketing goals, remember to craft it to fulfill your audience’s needs. Establish a solid idea of who your target audience is, along with the ideal way to reach them. Then continue to serve up a steady stream of buyer-centric content in a diverse range of formats, always providing valuable information that keeps you at the top of their list.